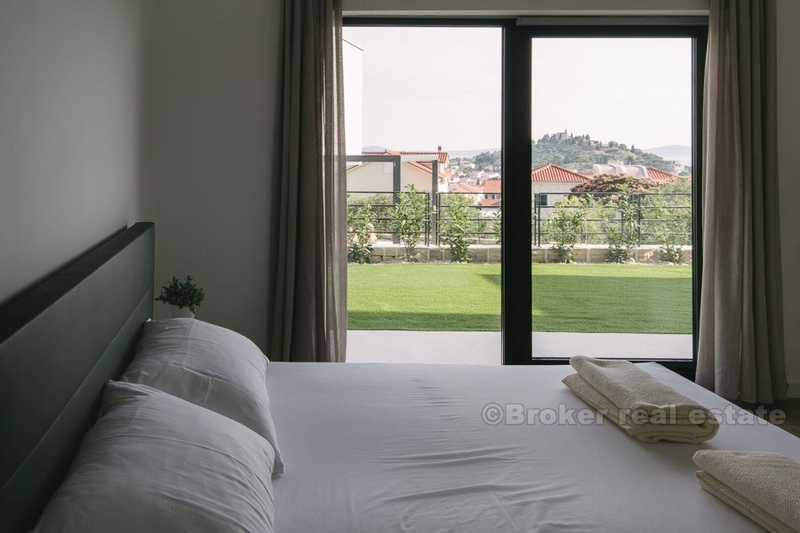 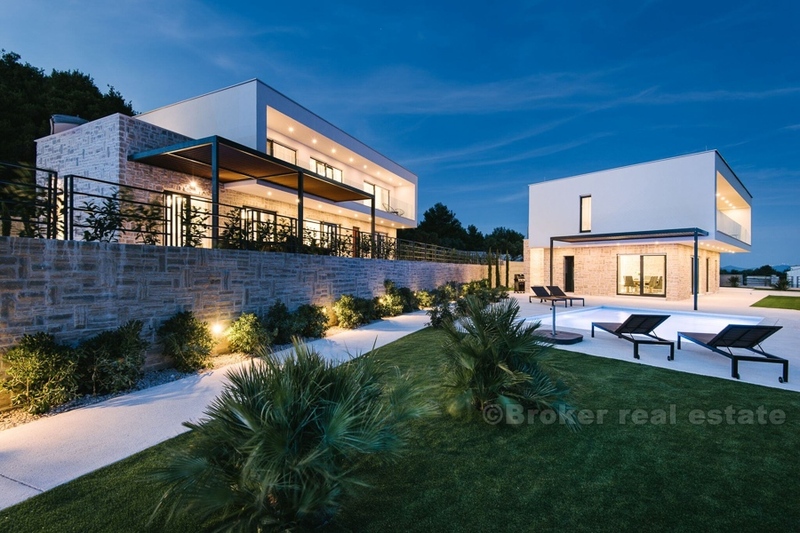 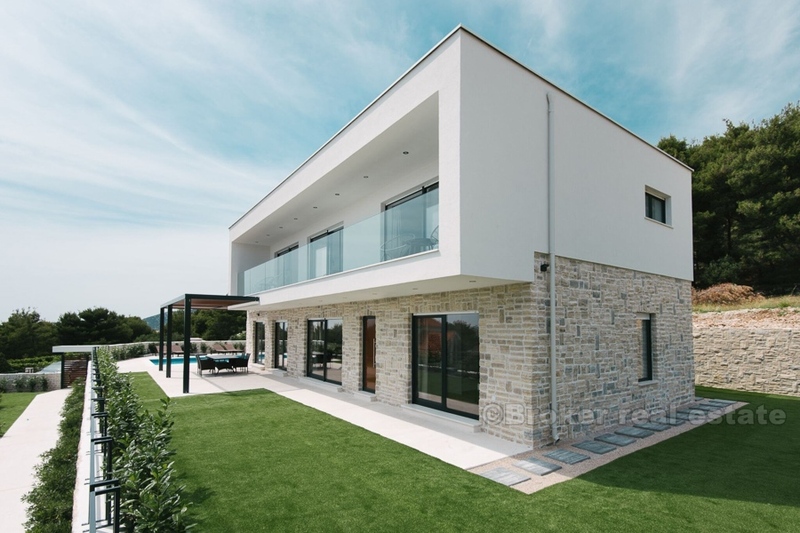 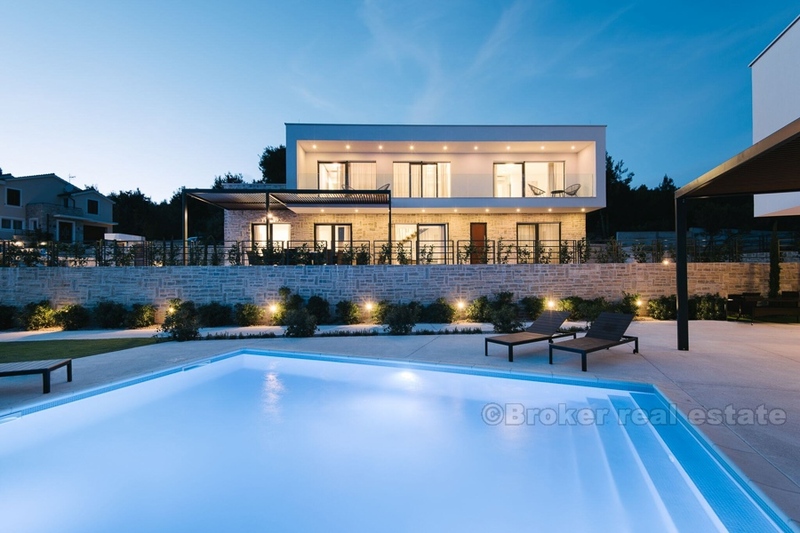 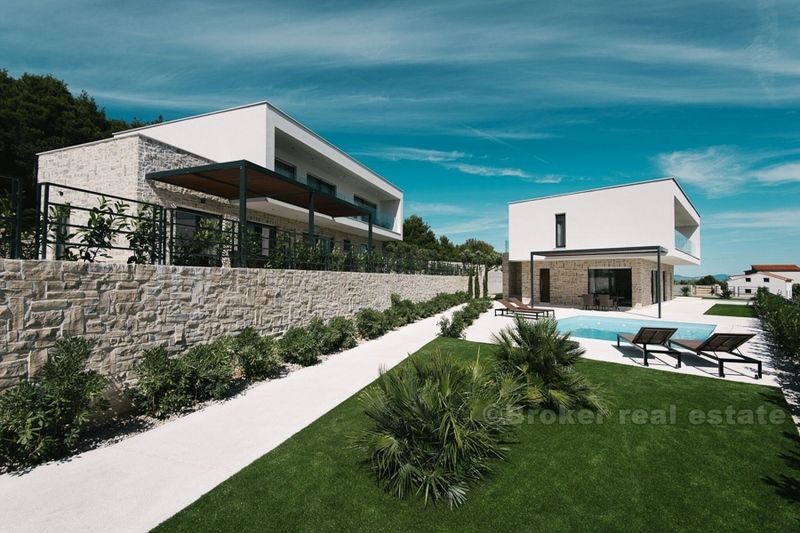 Newly built villa, beautiful and modern designed, with amazing panoramic views and swimming pool. 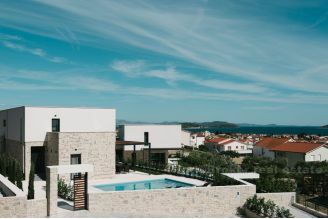 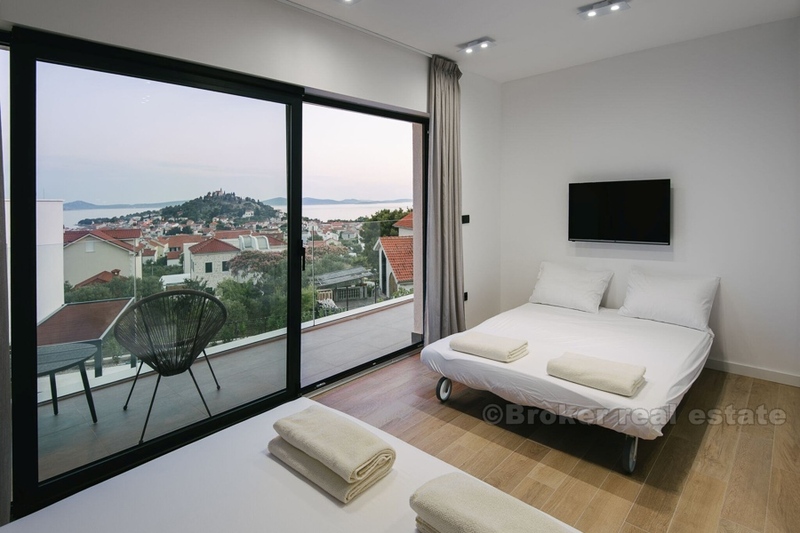 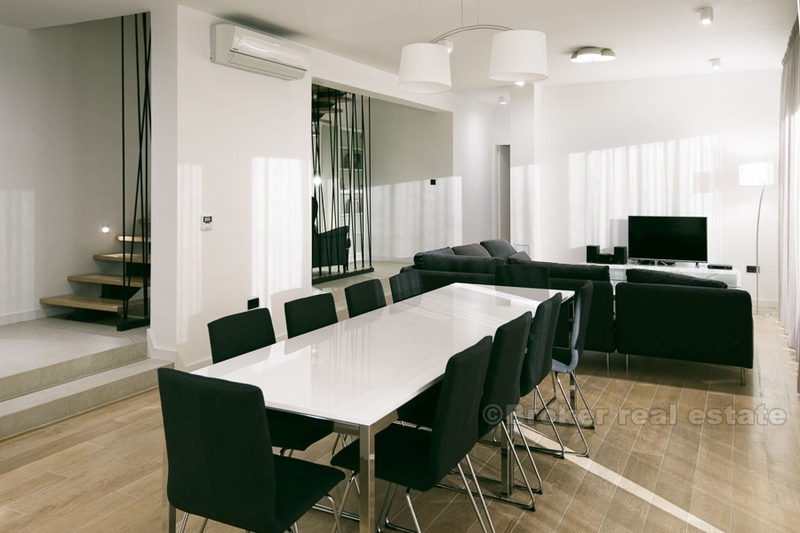 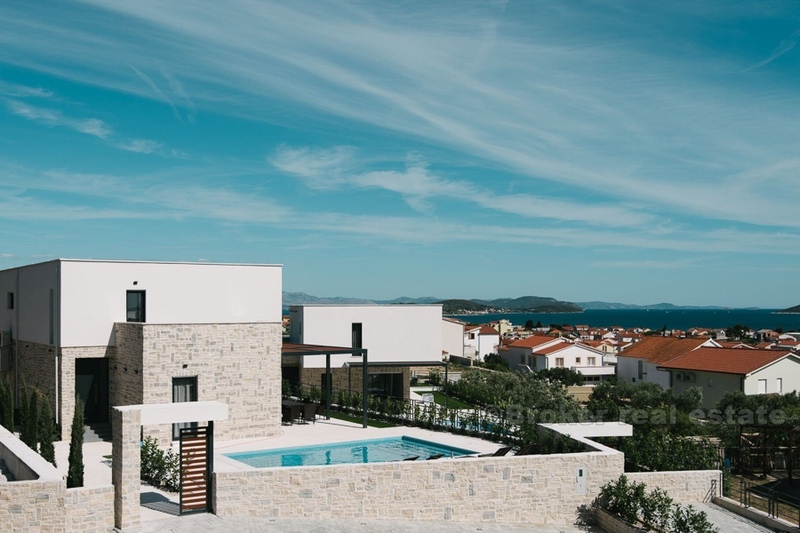 The villa is located in a famous vacation city near town of Sibenik. 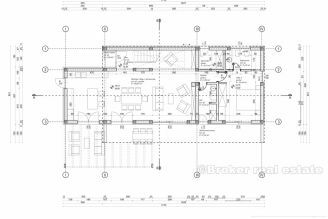 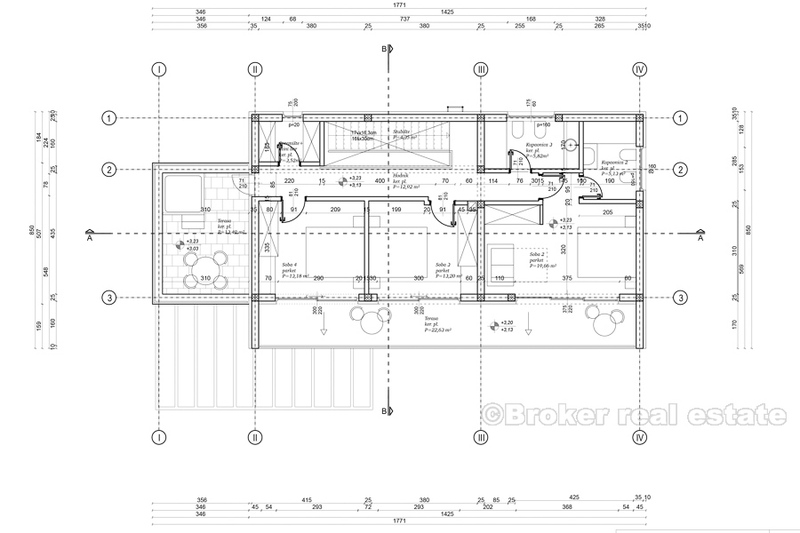 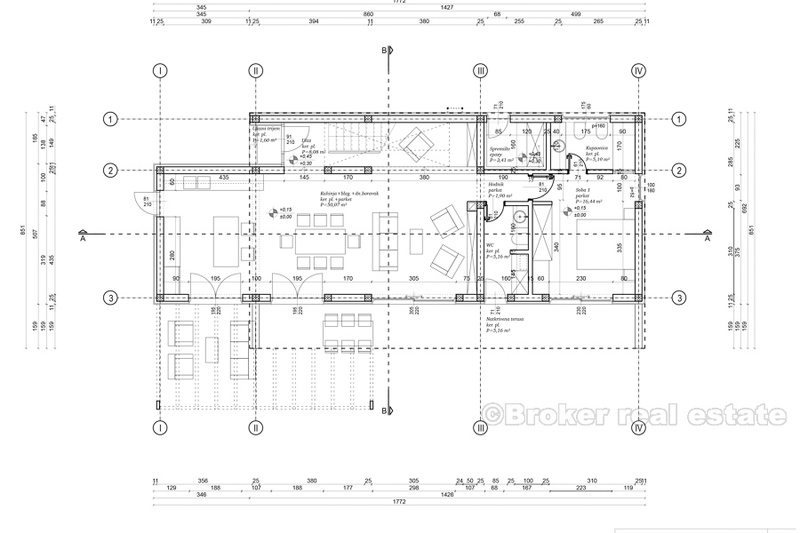 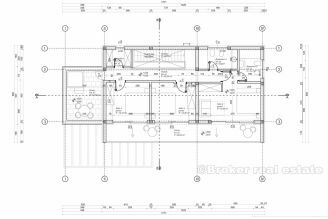 It consist of two storey, with total of 250m2 of internal space, on a plot of 670m2. 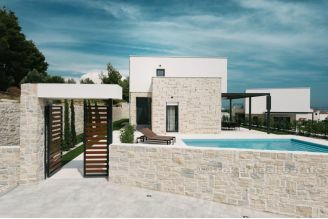 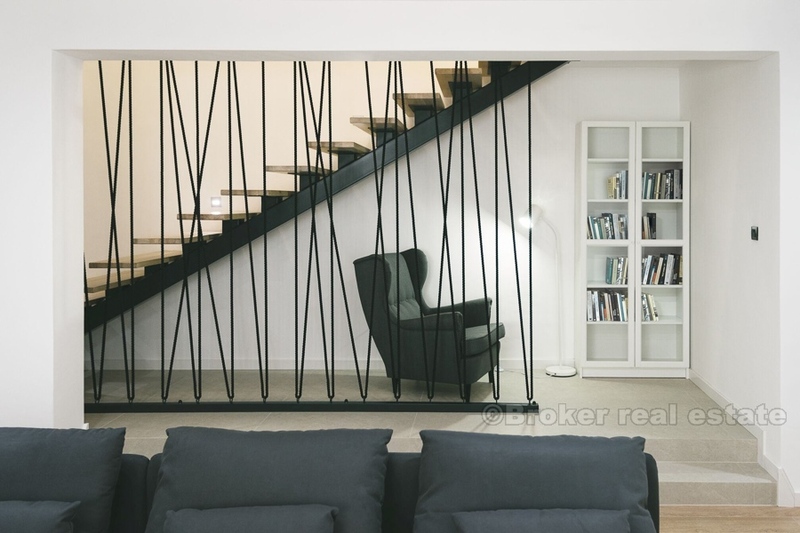 On ground floor of entrance, hallway which leads to the open living area with kitchen, dinning room, storage room, bedroom with bathroom (en-suite), toilet, staircase which leads to the upper floor, entrance to the big terrace, horticultural landscaped garden with automatic irrigation and swimming pool of 40m2. 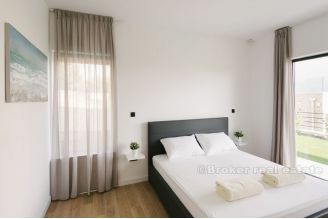 On the first floor there two regular bedrooms, one en-suite bedroom, and additional bathroom. There is also balcony of 20m2 with jacuzzi for 5 persons (2100x2100). Property has fenced parking for 4 cars. 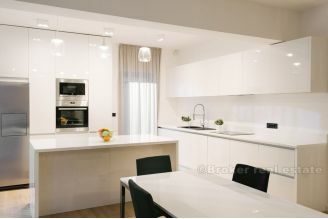 The villa is sold fully high-quality equipped and furnished. 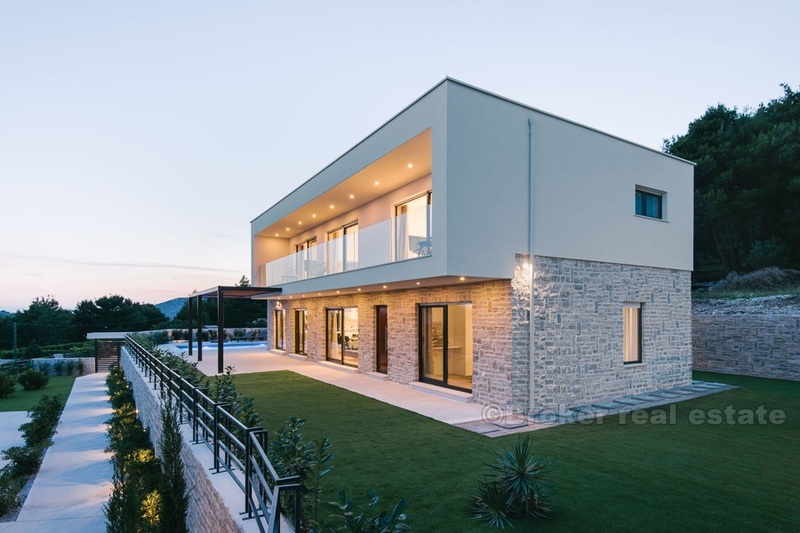 The villa is finished in 2017. and has established rental business, capacitity of 8+2 persons, one of the rarest in this area who provide high standard with yearly gross income of 40 000eur. 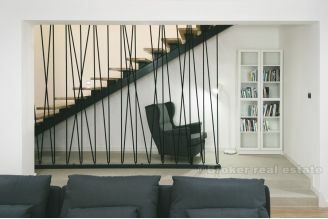 Distance to the sea is 700 meters. Distance from airport in Split, or aiport in Zadar, is 70 kilometers.